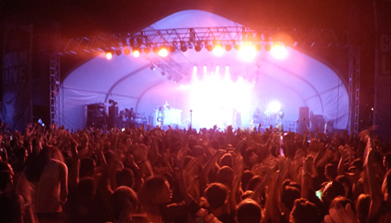 The third annual Guam Live International Music Festival is back with a star-studded lineup of top-notch pop and reggae acts set to perform on May 29, 2016 at the Governor Joseph Flores Memorial Park (Ypao Beach) in Tumon. Check out the lineup below and purchase your tickets to Guam’s biggest annual music event at http://guam-live.com/. Born and raised on Guam, Pia Mia is an Interscope Records artist who has recorded smashes with Chris Brown, Tyga and will.i.am. Also a rising star in the fashion world, the 19-year-old pop princess was recently handpicked by Madonna to be the first-ever Fashion Director of the legendary icon’s Material Girl line. Ever since Pia Mia’s debut on YouTube, the bonafide island girl superstar has amassed an impressive following on social media, and has millions of fans on Instagram and Snapchat. Bermuda dance hall singer Collie Buddz is best known for his single "Come Around.” Guest vocals on a remix of Beyoncé&apos;s "Ring the Alarm" began his relationship with the Sony label and the singer has performed alongside numerous artists including Bounty Killer, Busta Rhymes, Chris Brown, Damian Marley, Elephant Man, Lil Jon, Shaggy, Third World, Wayne Wonder and many more. In 2014 he released the singles "Light It Up" plus "Yesterday" with Riff Raff and Snoop Dogg, while the release of "Prescription" followed in 2015. Fiji is one of the biggest polynesian artists of our time. Born and raised as “George” in the islands of Fiji, he took on the name of his motherland as his artist name, so that whenever somebody heard about him, they would not forget where he was from. Hits like “Smokin Session” and “She’s Da Bomb,” as well as a remake of Otis Redding’s “Sittin’ on the Dock of the Bay,” were heard on Bay Watch Hawaii and MTV’s Real World Hawaii. In 1998, Fiji earned the Na Hoku Hanohano Award for Male Vocalist of the year and Entertainer of the year, solidifying his place among Polynesian fans and introducing his sound to a wide audience of listeners. A cross-cultural pop/rock band heavily inspired by soul and reggae, Common Kings feature guitarist Taumata Grey, lead singer JR King, bassist Ivan Kirimaua, and drummer Jerome Taito. The musicians, whose roots are in Hawaii, Samoa, Fiji, and Tonga, deliver an original sound that is a collection of varied musical and cultural inspirations orchestrated into an array of head-rocking beats, feel-good rhythms, and emotional fervor. The band’s fun-loving attitude, good vibes and high energy project loud and clear during Common Kings’ live performances. Island music veterans Mana&apos;o Company have inspired many of the top island reggae bands & artists popular today, as they were part of the wave of Jawaiian music that took the islands by storm over 20 years ago, helping to develop a new type of island music that blended the tight, cool rhythms of Jamaican reggae with the soothing Hawaiian harmonies and turning it into a music like no other kind in the world - "Hawaiian Reggae". 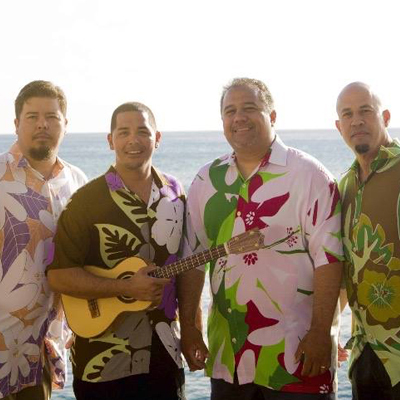 They are Na Hoku Hanohano award winning artists (Hawaii&apos;s version of the Grammy&apos;s) and in 2002, their album, entitled "Spread a Little Aloha" won 5 Hoku&apos;s, including Song of the Year (Aloha), Contemporary Album, & Album of the Year. Formally the lead singer of The Next Generation, Micah G&apos;s music is a “lovers rock” style of reggae that is heavily influenced by R&B and soul and marked by positive lessons and stories behind the lyrics. Micah G grew up listening to a melting pot of pop, rock and reggae, from the Eagles to Journey, UB40 and Bob Marley. He is also inspired by reggae legends like Aswad and Gregory Isaacs. In 2009 Micah G released his début album G Style that featured hits such as "Big City Love" and "Take a Chance” followed by multiple album and singles releases. 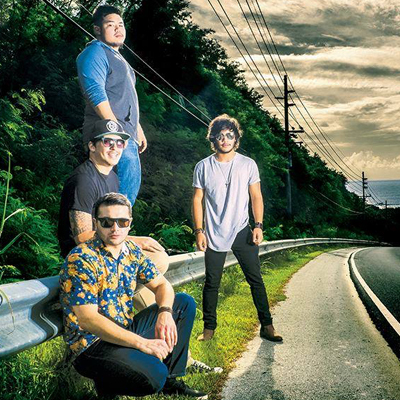 Hailing from Guam, the four members of The John Dank Show are from the southern village of Yoña and are gaining major traction as an up-and-coming progressive rock-reggae band wherever their music is played. In 2015, the band released their self-titled debut EP, which peaked at the #11 spot on the Billboard World Reggae chart and the #4 spot on the iTunes Reggae chart. Members Frankie, Danton, John, and Paolo are looking to shape the minds of people interested in original music from the island of Guam.